In 2004, my elderly mother and aunt re-located to Delray Beach, Florida -- just in time for the hurricane season of 2004-2005. I was frantic when I learned that Delray was hit hard and that most of the city had lost power. I was unable to locate my mother and aunt and I was concerned about their health and emotional state. A friend of mine told me to call the mayor of Delray Beach and gave me his cell phone. She told me that Jeff Perlman (the mayor at the time) was a nice man, very accessible and often took care of things personally. She had his cell number because he personally took care of a code enforcement issue in her neighborhood the year before. In desperation, I called Jeff Perlman and despite the obvious stress he must have been under, he took my call! He immediately put me at ease and said he would make sure to locate my mom and aunt. Within an hour, he personally visited and made sure she was OK. He delivered ice, some water and asked if she needed any medical assistance or help of any kind. My mom instantly fell in love with Jeff...he insisted on first names only. Jeff called me back and put my mind at ease. He kept in touch with my mom and aunt through not only that first hurricane but the others that blew through gorgeous Delray on his watch. He joked that there were no hurricanes before he became mayor and there would probably be none after he left. I think he was right. Anyway, my mom felt protected and personally looked after. What a relief. And what a story of Delray's personal charm. Where else would a mayor handle my mom personally (not to mention me) while trying to care for 65,000 other people. My aunt told me that Jeff seemed exhausted but was spending his days driving the city trying to help connect residents to resources. 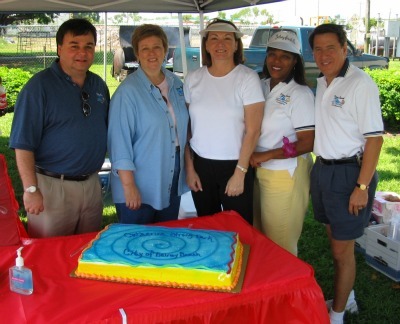 I fell in love with Delray on that day, because of a special young mayor who cared for my mom and my aunt. 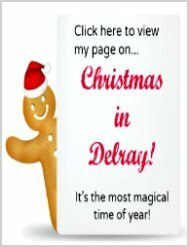 Thanks for your wonderful website and Delray Blog. Comment by Danika Dahl: Sheila: This is quite the story, even a bit emotional with sadness for your situation but then filled with elation of the personal efforts our mayor provided to you, your mom and your aunt! I cannot thank you enough for taking the time to write this fabulous and touching story and sharing it with me, my readers and even Jeff! I asked Jeff to submit some photos so I could add photos to your story. I did not tell him what the story was about -- but it just so happens that one of the photos he submitted was of him participating in a relief cause for hurricane Katrina. This picture ironically confirms his character as you've described. but I'll do anything for a good cause." I will be sure to post a link of this web page on Jeff's personal Facebook profile. Thank you again Sheila for sharing such an inspiring story and thank you so much for your kind comments on my website. It's people like you and people like Jeff that make me love Delray Beach as much as I do. 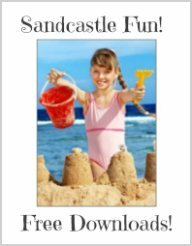 Besides it being a multiple award-winning beach town with one of the best Florida family beaches, there's also a very strong sense of community and caring in this town -- and your personal story confirms this. 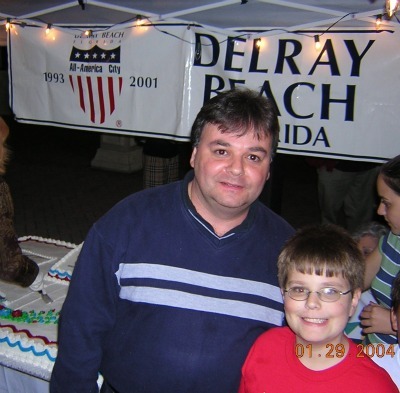 Here's a few more photos of Jeff Perlman while he served as the Mayor of Delray Beach. A city can only become great and stay great with the right people. Delray Beach is certainly a special place, but the people are what makes it great. We should all take notice and help out this great city of Delray Beach when ever we can. Former Mayor Jeff Perlman is one of a kind. 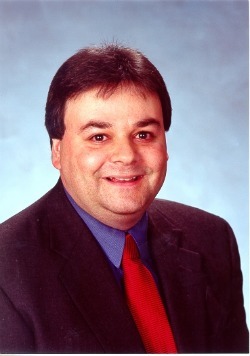 If it wasn't for former Mayor Jeff Perlman our city would not be where it is today. Comment by Danika Dahl: Charles: Thank you for your comments on our wonderful city of Delray Beach and our wonderful former Mayor, Jeff Perlman. 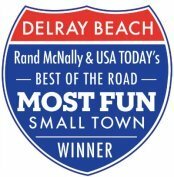 Being as passionate as I am about Delray Beach, it is very exciting to me to receive such an inspiring and awesome write-up on our town -- but even more so -- about one particular individual who played a very significant role in making Delray Beach the vibrant, charming and attractive beach town that it is today, for all of us to love and enjoy! How sweet! These examples illustrate why I'm so happy to call Delray Beach home. We've lived in several cities - and never before in one where you can go downtown and regularly run into city leaders who are always friendly, helpful, and ready to chat. 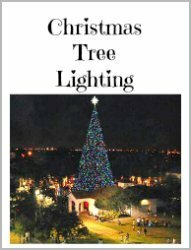 It?s this kind of thing that makes Delray Beach still feel like a small town. Ya gotta love a town that can pull this off consistently, again and again! The charm, the romance, the small town feel, the beachy yet sophisticated vibes... 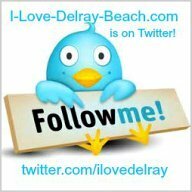 It's a very special town and that's why we all love Delray Beach so much! I didn't have a chance to meet Jeff. But I do know Woody (Current Mayor of Delray). I called Woody to tell him that I personally invited the Dublin Ireland Fire Brigade Pipe Band over to march with firefighters from all over the world in the Delray Beach St. Patrick's Day Parade. I advised him that the Dublin band would be bringing a gift from the Lord Mayor of Dublin. 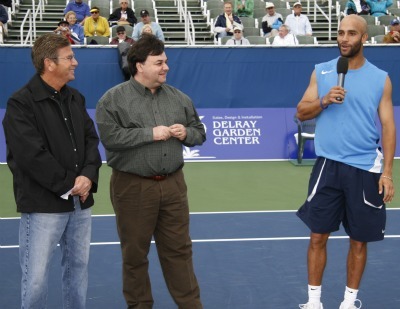 Woody in turn had a "Key To Delray Beach" to send back to the Lord Mayor of Dublin. The Dublin Fire Brigade Pipe Band marched in our St. Patrick's Day Parade, and then traveled the 14 hours back to Ireland, and had 2 hours to get into uniform and march in their own St. Patty's Day Parade in Dublin -- in front of 5,000 spectators on the street and some 2 million national TV viewers on RTE TV. The band played / marched the Lord Mayor and her husband up to the parade review stand in a vintage 1700's era horse drawn carriage. And then the Drum Major from the band presented the Lord Mayor, the "Key to Delray Beach", as it was commentated / described on national TV. You can't buy that kind of international ambassadorship - public relations!! Comment by Danika Dahl: John, you're one of my hero's too, you know that?!!! You play such an amazing role in our Delray Beach St. Patrick's Day Parade! 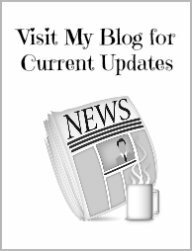 You are very inspiring and this write-up confirms it because you are the one behind the scene making all this exciting St. Patrick's Day stuff happening here in Delray Beach! Thank you so much for your comment relating to our mayors of this wonderful city that we all love so much... Delray Beach aka Village by the Sea! How can I express my gratitude for your kind words? I am literally speechless (which my friends will tell you never happens). How nice of you to remember Sheila and how nice of you to share Danika. Your mom and aunt were so nice to me and their kindness made a very tough time in our history so much easier to handle. There's a pleasure associated with public service that is simply hard to put into words. But I absolutely loved serving the people of Delray Beach--meeting so many nice people and trying hard to answer questions or solve problems. It was truly an honor and a privilege to serve a town that I am passionate about. And the reason I am passionate about Delray is the people. I have met the world's best people right here in our village by the sea. This story that you shared brought back so many memories. Some say that public service is a thankless job--well that's simply not so. Sharing your story proves that. Thanks so much for making not only my day but my year! You are both so sweet. I love this website because Danika's love for Delray shines through. And Sheila...tell your mom I'm coming over next week!